Ever since she learned about human trafficking happening in Wichita, Jennifer White has been helping raise awareness about the issue and helping groups who work directly with victim survivors. White founded ICT SOS in 2011 after reading a newspaper article about human trafficking. 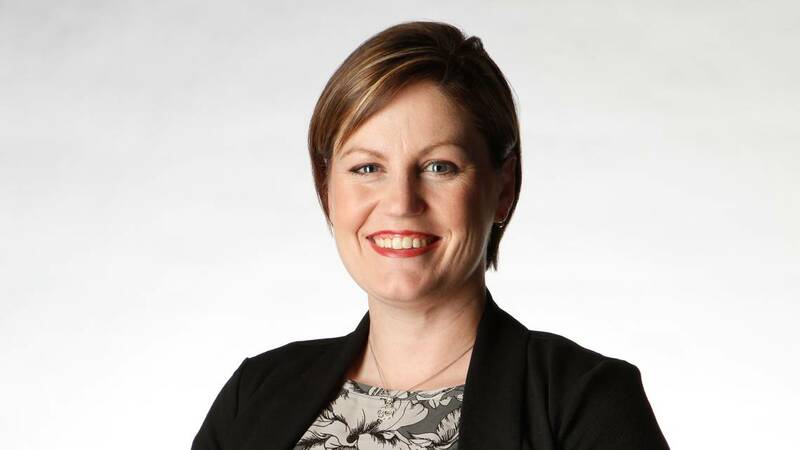 As the mother of two daughters, including one who was 12 at the time – the age that many enter human trafficking – she was compelled to do something, she said. “I am a mom and a lover of all things Wichita. I’m raising my family here and I want our community to be as safe as possible for all who live here,” White said. As she became educated about the issue and about those who work with victims – like the Child Advocacy Center of Sedgwick County, law enforcement agencies, hospitals and the Wichita Area Sexual Assault Center – she realized there was room for a nonprofit that could help them. A group that could provide funds to buy a plane ticket for a victim to rejoin her family or go to a rehabilitation center. A group that would talk to churches and other organizations to tell them this is a problem that needs attention. (White said she’s still often asked, “Does that really happen in Wichita:”) A group that would put together a prevention and awareness curriculum to share in the schools. White, a former financial adviser who became the full-time executive director of ICT SOS in 2016, often describes ICT SOS as a liaison between the community and professionals, helping support and fill gaps. Its “fresh start bags” program began when a police officer contacted her to get some items for a young girl the police were helping. The bags contain clothing, hygiene items, a journal or comfort item – a toy or blanket – and a gift card for a meal. The group also provides clean start baskets for youth transitioning from foster care or juvenile justice custody into their first dorm or apartment. A list of needed items can be found on the group’s website. Through its annual 5k Race 4 Freedom, which started in 2013, ICT SOS has raised $150,000 to help programs that serve at-risk girls and victims of trafficking. In recent years, ICT SOS has stepped up its prevention and awareness curriculum offered in several Wichita-area middle and high schools. ICT SOS has a full-time education coordinator and a team of volunteers, including detectives, a lawyer from the U.S. Attorney’s Office and social workers, who work with teachers to provide the three-to-five hour curriculum. In 2017, the curriculum reached 1,300 kids; in 2018 it nearly doubled to more than 2,500, White said. “We are working not only to combat the issue of human trafficking, but ultimately end it altogether,” White said. Find out more about the group by visiting ictsos.org. 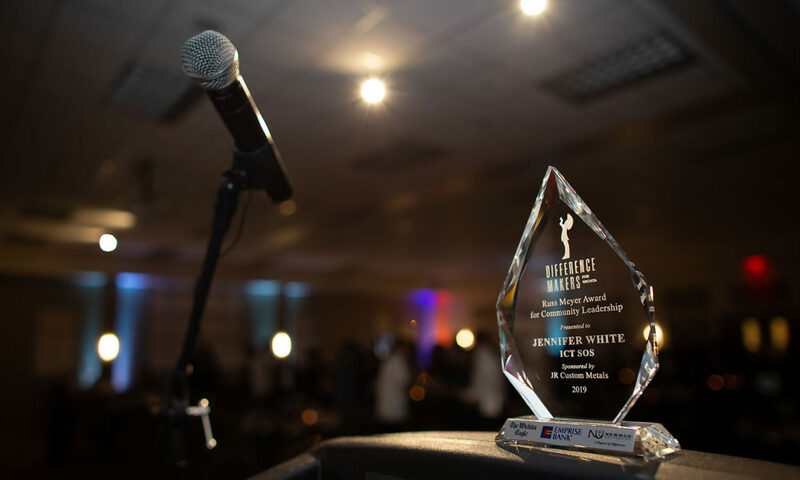 To be awarded to an individual who is making a positive impact in our community through demonstrated excellence in leadership and outstanding initiative to create solutions for critical issues facing the Greater Wichita Area. While a love of books was instilled early in Sarah Bagby, being a business owner wasn’t. While it wasn’t a natural skill, Bagby has become very successful at running an independent bookstore. Last year, Watermark Books and Cafe was named the Wichita Metro Chamber of Commerce Small Business of the Year among businesses with 25 or fewer employees. This year, it’s among the five nominees for the national Bookstore of the Year honor bestowed by Publishers Weekly. The winner will be named in March. Her success can be attributed to several things: her passion for Wichita, literature and authors; her forwardthinking and strategic planning that’s helped her thrive in a business pressured by national chains, Amazon and electronic books; her staff of likeminded book lovers; and readers in the Wichita community. 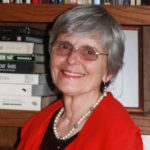 Bagby started working part time for the independent bookstore in 1981 and by the mid-1990s, she was the store’s owner. The store has become much more than a bricksand-mortar independent bookstore. “It’s a place where people can go and find community,” said Bagby. And she likes that. About a dozen book clubs meet monthly at Watermark, Bagby said, and local groups often use one of two basement meeting spaces – one decorated with a mural of Van Gogh’s “Starry Night” and the other featuring authors’ signatures. 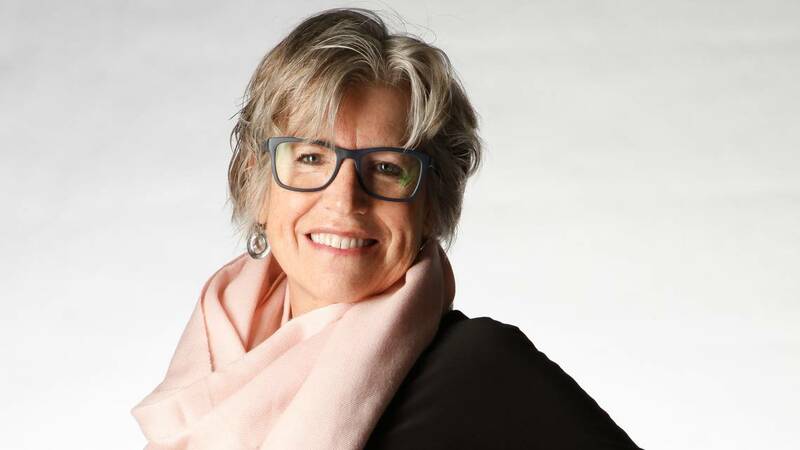 She and her staff coordinate about 60 events and book signings, ranging from local authors to national favorites such as John Grisham, David Sedaris and Elizabeth Gilbert. Watermark has become known for not only bringing in big-name authors, but helping put emerging authors on the map. Most of the events are held at Watermark; events with a larger draw are held at other venues. “I have this dream that every time we host a John Grisham or Liane Moriarty, all the hundreds of readers in attendance go home and read the same book,” said Bagby. Watermark collaborates with other organizations to spread literacy and produce more readers. Working with the Wichita Community Foundation, Watermark helps send authors to Title I elementary schools – which have a high percentage of students from low-income families – and distributes free books. It also partners with The Opportunity Project to provide about 800 hardcover books for free to kids. A previous board member of the American Booksellers Association, Bagby is starting a term on the Book Industry Charitable Foundation board that provides funds to bookstore colleagues experiencing unexpected financial hardships because of emergency or medical circumstances. To be awarded to an area business that is making a positive impact on our community by pioneering efforts to address a major community challenge or by implementing ideas which enhance opportunities for employees and positively impact our community, through the creativity and innovation employed. In November 2013, Coffman started the Wichita Animal Action League as a state-licensed, foster-based animal rescue. Since then, WAAL has rescued more than 2,000 animals, Coffman said. Last year, the group saved 696 animals at risk of being put down, with 659 finding new homes. Potential owners can find adoptable pets on the group’s website and its Saturday adoption site at Towne West Square. WAAL has even rescued ducks, she said. But WAAL doesn’t just focus on rescuing and rehoming pets in the community. It also helps current owners facing difficult life situations keep their pets. WAAL works with the Wichita Family Crisis Center to provide housing for pets of domestic violence victims while the owners transition into safe situations. It also works with pet owners using InterFaith Ministries’ homeless shelter – the only Wichita shelter that accepts pets – to provide supplies, grooming and other resources, if needed. With its Spay It Forward voucher program, WAAL has subsidized spay and neuter procedures for the pets of more than 300 owners, said Coffman. It’s all because Coffman believes in taking action. It’s what led her to start WAAL and ensure the nonprofit’s name included the word action. Back in 2013, Coffman, who has a bachelor’s degree in integrated marketing and communications from Wichita State, was working at an advertising agency when she saw a Facebook post about the plight of an abandoned dog. “Someone needs to do something about this,” she remembered thinking as she read the post. She realized she could be that someone. As the executive director of WAAL, she oversees a part-time employee, 40 volunteers and about 100 fosters – the WAAL Warriors, she calls them – and coordinates the care of the animals, some of which need extensive medical care. Coffman plays an integral part in raising money for WAAL, which is funded solely by private donations. “Much like the Boy Scout code of ‘leaving it better than you found it,’ I’m motivated by making the world a little easier to live in for the people and animals that will be here long after me,” said Coffman, who has two cats and three dogs. “I get to fulfill my childhood dream of helping animals with my skill set. It’s my way of giving back and the most rewarding thing is seeing the happily ever after” when a pet is adopted. To be awarded to a mission driven not-for-profit organization that is creating a significant impact on our community. When Elizabeth Meister was looking for a capstone project as part of her volunteer efforts, she wanted to find a project that could make a difference in people’s lives. What she decided on may make more than a difference, it could help save people’s lives. More than a year ago, Meister, now 17 and a senior at Wichita Collegiate, launched Project Heart to Heart, or H2H, teaching hands-only CPR to students and adults. A Cleveland Clinic survey released in February 2018 found that while half of Americans said they know CPR, only one in six knew that hands-only CPR is the recommended method. Only one in 10 of the 1,000 people surveyed knew that the correct compression rate is 100-120 pushes per minute. The Bee Gees’ classic disco hit “Stayin’ Alive” has the perfect beat, according to the American Heart Association. Because she’s taken both babysitter and lifeguard training and has volunteered with the American Heart Association, Meister has been CPR-trained. Meister and her mother, Lori, who is her co-trainer, have trained approximately 2,000 students and adults and have taught an additional 7,000 about the importance of CPR, Meister wrote. They’ve gone to schools and public events like Wichita Thunder hockey games to train and spread the word, said Meister, who is also a volunteer for the American Heart Association. Meister already has a long list of organizations and efforts for which she volunteers. As an officer of Collegiate’s Pro-Humanitate volunteer club, she helps coordinate volunteer activities for herself and her fellow students. Her family is active in volunteering with Catholic Charities and the Lord’s Diner. Meister, whose father, Gregory, is a physician, said she is considering a career in medicine. Several of her academic projects also involve health-related issues, like her H2H volunteer project. As part of a robotics and innovation class, Meister is working on developing a prosthetic flipper for a sea turtle named Montel at the Florida Keys Sea Turtle Hospital, which she and her family have visited while on vacation in the Keys. In chemistry, she’s on a research team examining and analyzing harmful vapors produces by an e-cigarette. The group will present their research findings at a University of Kansas medical forum in April. To be awarded to a high school student who by example has demonstrated the selfless and giving attitude, which was a hallmark of Brian Bergkamp’s life, to positively transform society. Doug Lockett has been called a “professional volunteer” by those aware of the time he invests in providing a free meal once a week to more than 100 people, helping run a community radio station and doing repairs for free for seniors. Lockett, 61, said he started volunteering at age 14 when his “mom didn’t want me sitting around for the summer” in his native Kansas City. So he started teaching a photography class at a local YWCA, sharing the technical skills he’d picked up from his dad, a professional photographer. He’d picked up his people skills by accompanying his mom as she volunteered with senior citizens and other community projects. 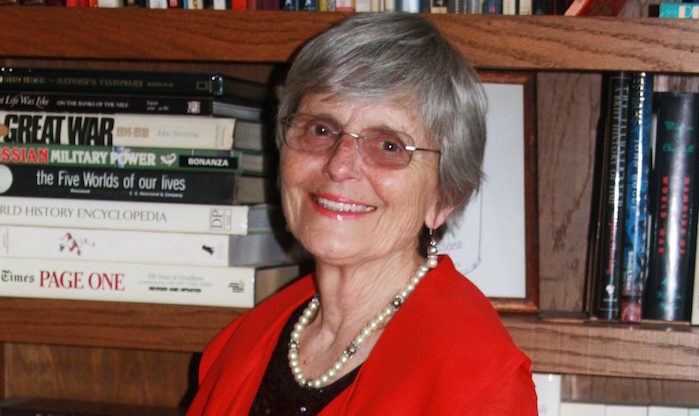 “She was an activist,” recalled Lockett. After high school, he became an air traffic controller in the Air Force and was a DJ on the side. After he was discharged, he started a career in restaurant management and now uses those skills to run The Underground Cafe, which offers a free hot meal once a week to anyone who stops by. Operating out of the basement of a church at 1156 N. Oliver, The Underground Cafe serves more than 100 meals every Wednesday night. It has even served as many as 300, Lockett said. Lockett, who took over running the cafe about six years ago, spends about 25 hours a week doing the ordering, prep work, cooking and coordinating the volunteers. “I serve a decent meal since I’ve got skills,” said Lockett, followed by a laugh. He’s whipped up chicken cordon bleu, meatloaf, fried chicken and more. Originally founded to provide a meal to homeless vets, the cafe now serves anyone regardless of income or status. “It’s more of a fellowship,” said Lockett. Patrons have included international students attending nearby Wichita State and busy moms who just want a night off from cooking. Lockett also uses those cooking skills to serve a monthly meal to seniors living at a retirement community in northeast Wichita. A self-employed licensed contractor, Lockett also spends about eight to 10 hours a month doing small repairs for free for seniors. 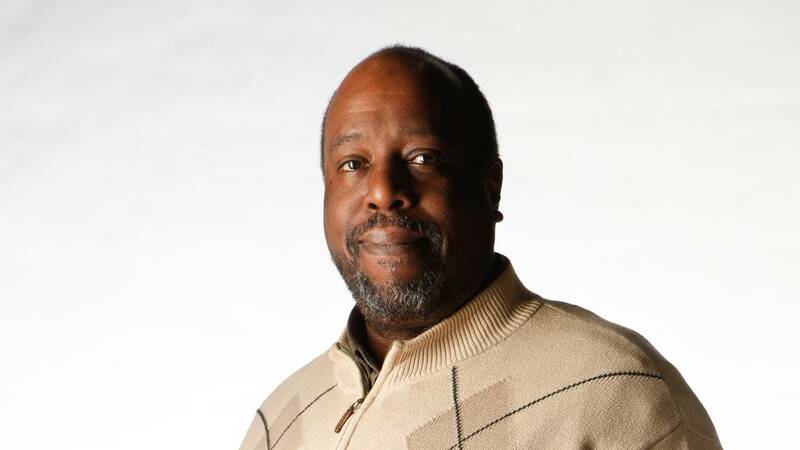 With his background as a musician and DJ, Lockett also serves as the volunteer manager for KSUN 95.9, a community radio station that runs out of the basement of the Sunflower Community Action facility at 1751 N. Ash. He coordinates the on-air talent and is on the air himself on Sunday mornings as part of the station’s Sunday Buffet lineup, which offers music of different genres..
To be awarded to an individual, who through outstanding volunteer community service and commitment, is making a measurable difference in our community. Twelve individuals in the Wichita community will be recognized for their outstanding service and dedication at the “Difference Makers for Wichita” awards banquet Feb. 23 in the Dugan-Gorges Conference Center on the Newman University campus. The Difference Makers for Wichita Awards honor individuals and organizations making a positive difference and celebrates their contributions, value and influence on improving the greater Wichita community. The title sponsors for the 2019 event include Emprise Bank, the Wichita Eagle/Kansas.com and Newman University. Russ Meyer Community Leadership Award, presented by JR Custom Metal Products, Inc. and named after longtime aviation advocate, philanthropist and community leader Russ Meyer, is given to an individual making a positive impact in our community through demonstrated excellence in leadership and outstanding initiative to create solutions for critical issues facing the area. The 2019 recipient is Jennifer White of ICT SOS, a grassroots organization that has become an important component in Wichita’s battle against human trafficking. Brian Bergkamp Student Service Award is presented by Ascension Via Christi and named for the late seminarian Brian Bergkamp, who died while rescuing a fellow kayaker who had fallen into the Arkansas River. This award is given to a high school student who by example has demonstrated the selfless and giving attitude to positively transform society. 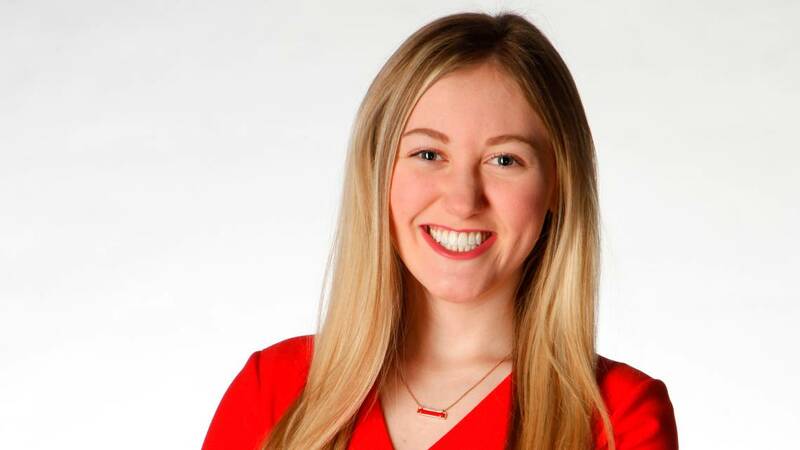 Elizabeth Meister, a student at Wichita Collegiate School, took leadership skills learned through the American Heart Association’s Ambassador Program to create her own non-profit, Heart to Heart, which involves doing CPR within all the private and parochial schools in Wichita. Sister Tarcisia Roths, ASC, Not-For-Profit Award, presented by Nonprofit Chamber of Service, is named for former Newman University President Tarcisia Roths, ASC, who played a major role in the growth of the university. 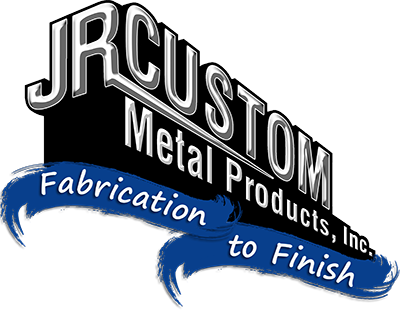 It is awarded to a mission-driven not-for-profit organization that is creating a significant impact in our community. 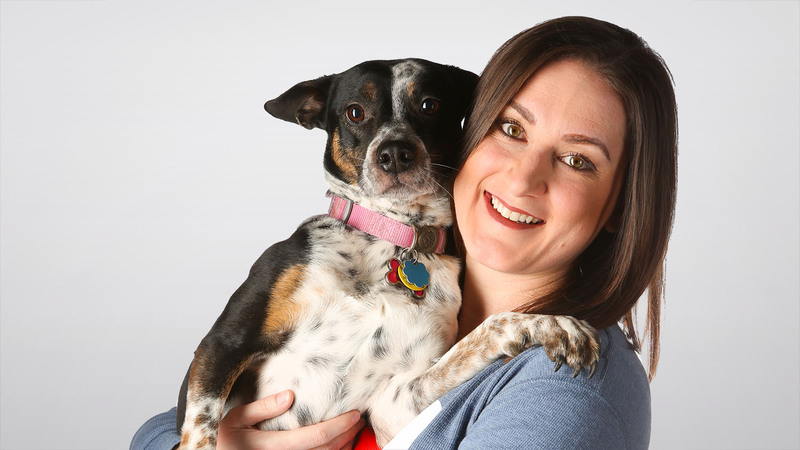 The 2019 recipient is the Wichita Animal Action League (WAAL), whose executive director is Sarah Coffman. WAAL is dedicated to rescuing animals in crisis that have been abused, neglected and abandoned each year. 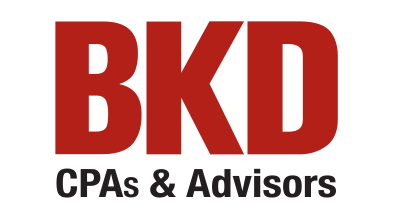 Ivonne Goldstein Community Volunteer Award is presented by BKD CPAs and Advisors and named for the late Ivonne Goldstein who served on the boards of, or raised money for, more than 50 Wichita organizations. This award is presented to an individual who through outstanding volunteer community service and commitment is making a measurable difference. Douglas Lockett, the 2019 recipient, is a U.S. Air Force veteran operating The Underground Café, which serves great food and fellowship every Wednesday evening from the basement of a church building. Marshall Murdock Award for Business, presented by the Wichita Eagle/Kansas.com, is named for Marshall Murdock, founder of the Wichita Eagle in 1872. 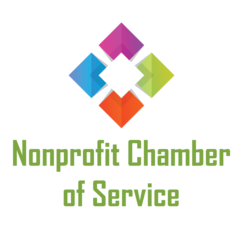 The award is given to an area business that is making a positive impact by addressing a major community challenge or by implementing ideas, which enhance opportunities for employees through the creativity and innovation. This year’s recipient, Watermark Books, owned by Sarah Bagby, brings individuals in the community together with the hope of elevating quality of life. The awards banquet also honors five “Everyday Heroes,” presented by Envision. The recipients are individuals who do not seek recognition but rather are committed and inspired to serve others daily in order to make a positive difference. The recipients include Glen Chambers, Lynn and David Gilkey, Madeline Akers, Cari Schmidt, Ngoc Vuong and Chip Neumann. In addition to the Difference Makers awards, Newman University alumnus Bob Simpson will receive the Cardinal Newman Medal, the university’s highest honor. Simpson has served on the Newman University Board of Trustees and as an advisor for the Newman School of Business. Simpson and his wife, Anne, have been major financial supporters of Newman. Madeline Akers has been volunteering for more than 35 years with the Wichita Fellowship Club, a nonprofit that helps people become and stay sober. It’s a path she’s familiar with. Akers, who has served as the group’s president for a decade, said for years before she sobered up, she “was one of those functioning alcoholics, but then I started missing more Mondays at work.” A health scare and going to Alcoholics Anonymous meetings helped her achieve and keep sobriety. Founded in 1966, the Wichita Fellowship Club provides an alcohol- and drug-free residential facility for both men and women who want to become sober. Initially, WFC accepted only men at its facility. Ten years ago, when Akers became president, the facility opened a separate wing with room for up to seven women. Akers is a sponsor for the women clients. WFC also provides space at another location for AA, Narcotics Anonymous and Cocaine Anonymous meetings and has a 80-acre recreation club facility, called the 101 Club, where it hosts bingo and other sober activities. The 101 Club is where they show clients how to have fun without alcohol or drugs, Akers said. Akers said the more than 40 or so residents at the WFC house are encouraged to stay for at least a year. The residents get room, board, three meals a day and support 24/7 at a cost of $100 a week. “When they do (stay for a year or more), they are statistically more able to reach five years sobriety. And if they reach five years sober, they can usually stay sober for life,” she said. While her position running the WFC is technically a volunteer position, Akers said, “I work every day of the week.” Her second bout with lymphoma last year, shortly after retiring from a 54-year career in accounting, slowed her down for a while until she recovered, she said. She also spearheads the organization’s fundraising efforts. WFC is supported by private donations. Recently it received a $300,000 challenge grant from a donor, who wishes to remain anonymous, so she’s helping raise the $100,000 required to get the grant. To find out more, visit wichitafellowship.org. 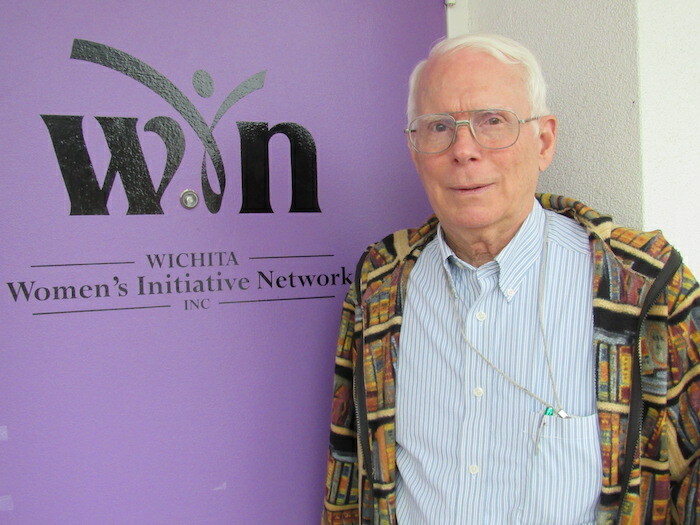 When he first started volunteering for the Wichita Women’s Initiative Network 13 years ago, Glen Chambers was teaching women how to do math. Now he teaches women what a respectful man looks like, says WIN executive director Karen Schmidt. It’s an important thing for many of the women who’ve endured some of the worst kinds of relationships. WIN serves female survivors of intimate partner abuse situations, giving them access to needed skills to overcome financial barriers to living independently. Chambers, a retired Boeing computer programmer, started volunteering as a math tutor in one of WIN’s education programs, teaching algebra and geometry. Along the way, he learned more about domestic abuse and how it affects survivors. In what Schmidt calls “his patient, kind, respectful manner,” he started earning their trust, a connection he doesn’t take lightly. For some women, Chambers knows, he’s likely the first male figure who’s given them the respect they deserve. In a gesture of support and to model what a healthy relationship looks like, he and his wife, Carolyn, take WIN clients out to lunch. The women take heart that a good relationship can last, like the Chambers’ 45-year marriage. He holds open doors, helps them get out of a coat, helps them get seated – the kind of chivalrous behavior they’re likely not used to, but those are a few things he thinks a gentleman should do for a woman. Schmidt estimates he’s impacted more than 100 women through the years. He’s developed deeper, fatherly-like relationships with about a handful of women, the ones he calls his “bonus daughters.” He was on the front row at a commencement ceremony when one earned a college degree with honors. He walked another down the aisle at her wedding. Both events moved him to tears, he said. While he still helps tutor anyone who needs math skills, Chambers also picks up weekly food donations for WIN clients from a local church, helps as a handyman around the office and tells clients he’s ready to provide a listening ear if they need it. “I’m of the feeling that those of us who are blessed have an obligation to help those who need our help,” said Chambers. 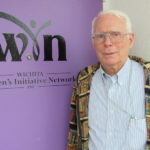 To find out more about WIN programs and how to volunteer, visit wichitawin.org. More babies in Sedgwick County are surviving their first year of life, and Cari Schmidt with the University of Kansas School of Medicine-Wichita wants to keep that trend going. 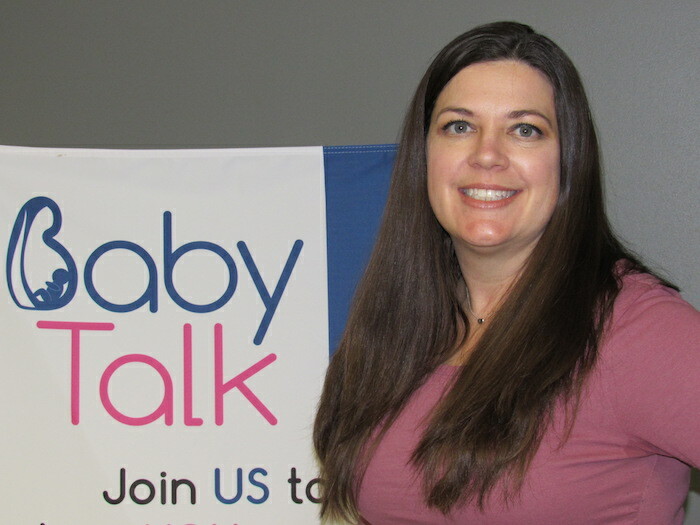 Schmidt is the leader of Baby Talk, a local initiative in which nurses teach moms, dads and other caregivers about safe sleeping for infants to reduce the occurrence of Sudden Infant Death Syndrome or other sleep-related deaths, like suffocation when bed-sharing with adults. In 2015, the infant mortality rate in Sedgwick County was 8.1 per 1,000 live births, far worse than the state’s average of 6.1. In 2017, the latest year data is available, the county’s rate fell to 6.9, compared to the state’s rate that remained 6.1. In public health circles, infant mortality rates are an indicator of a population’s health. 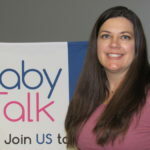 Baby Talk has been successful because the free community-wide program includes health care professionals working together to make a difference, said Schmidt. who is director of research and associate professor in the medical school’s pediatrics department. Her five-member staff and the health care professionals who coordinate and teach the classes “have really put their heart into helping these moms,” she said. Any pregnant woman in Sedgwick County who is 32 weeks pregnant or less – plus others who will help care for the newborn – can take the six-week, 12-hour program, which covers topics such as labor and delivery, the benefits of breastfeeding and the safest ways for babies to sleep, which is alone, on their back in an uncluttered crib. The program, funded by a Kansas Department of Health and Education grant, is expanding to 10 locations in Wichita and Derby this spring. Besides leading the Baby Talk program, Schmidt helped create a research center at KUSM-Wichita in 2017 with the purpose of connecting Kansas researchers of maternal and infant health issues with health care and other professionals. “The idea was to connect with others who have similar interests and build projects that will have a greater impact on the infant mortality rate in Kansas,” Schmidt said when the Center for Research on Infant Birth and Survival (CRIBS) was started. She’s also gotten her husband and two sons involved with helping her volunteer with community-wide events sponsored by the Kansas Infant Death and SIDS (KIDS) Network, which offers support to those affected by infant death and provides education, as well. David and Lynn Gilkey say they would rather build strong youth than restore broken adults. That’s why the husband-wife team founded the nonprofit Rise Up For Youth in 2014 after many years of working with young girls and boys. Through in-school mentoring at five Wichita high schools, workshops, team-building and other activities, Rise Up For Youth has worked with about 250 kids annually to help them avoid gangs,do better academically and make better life choices. 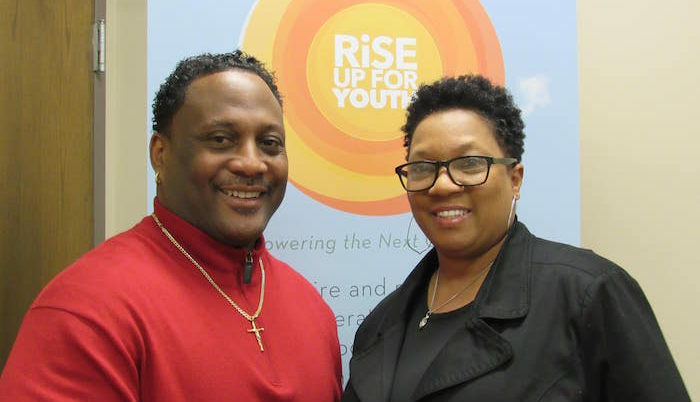 Rise Up For Youth includes five other staff members. Funded by grants from organizations such as the Downing and Koch foundations, United Way, USD 259 and private donors, the organization’s goal is to be in all nine Wichita public high schools by 2020. “We have a waiting list and have been asked to extend the program to middle schools,” said David. They want kids to be productive citizens, not homicide victims or inmates, they said. All of the kids in the program who have made it to their senior year in high school have graduated and enrolled in post-secondary education. More than three-fourths have maintained a 2.0 GPA or higher. The kids come from different racial groups, and many have these things in common: a single parent with no college degree and a low-income household. They realize that despite their best efforts some may not see their full potential, but they still remain firm in their mission. In the time they’ve been mentoring youth – David since 2005 and Lynn since 2008 – they’ve lost 13 boys and one girl to violence. “All it takes is one wrong decision to cost you your life or your freedom,” David said. To find out more, visit riseupforyouth.org.